Lets face it! You are on Page 1 of Google, prospect clients email you for a quote. In fact they generally email 3 SEO Agencies for quotes. Then……all they generally do is compare price. Well the thing is, SEO is not a commodity, we are NOT selling a product, a lipstick, a car or a water filter. We are selling a service. The SEO industry has been slammed by scammers and dodgy companies over the years and still is. So who do these small business’s trust? It’s not easy. However, they need to take the time to research. The majority of successful companies these days allocate 30% of their marketing dollars to online marketing, so they realise they need to get on board. This is why you need to build your brand, trust and reliability in the market place. 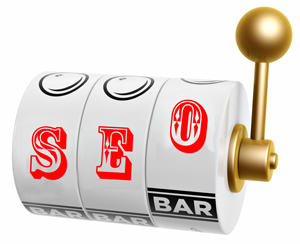 For this reason we provide only high quality SEO Marketing Services and ADVICE. Advice on online marketing strategies and the full overall strategy they need. I know that all my competitors in the market place in Sydney and Australia are feeling the pain from the black hat SEO practices we hate. If you price too low you may not make enough margin to support your business’ growth. If you price too low you’re less likely to go the extra mile that is always required because no project is ever perfectly scoped. If you price too high you get beat out by the competition needlessly. If you price too high you may be replaced in the future by a lower cost competitor because the client can’t tie your price to the value you deliver. The LTV of customers is crucial to understand because it ensures that marketing spends a commensurate amount to acquire that customer. For example, a customer that makes many repeat purchases may be worth spending a lot on — even taking a loss on the first few purchases — if you know that on average they make many more purchases. Think about it…….Join #HubSpot if you need good marketing advice or contact us for a realist marketing overview of your business, including SEO Marketing strategies. Also a good article from Search Engine Land which is a little old but still holds true! Have a great day and give us a bell if you would like further information. Or ask for a FREE SEO Quote here…. I saw your Linkedin update and thought this may be a good opportunity to see what your company can do for mine in the way of upping my sites google ratings. I left Oracle/Sun to retire in 2012 and so this now is just my retirement part time occupation and fairly low key.